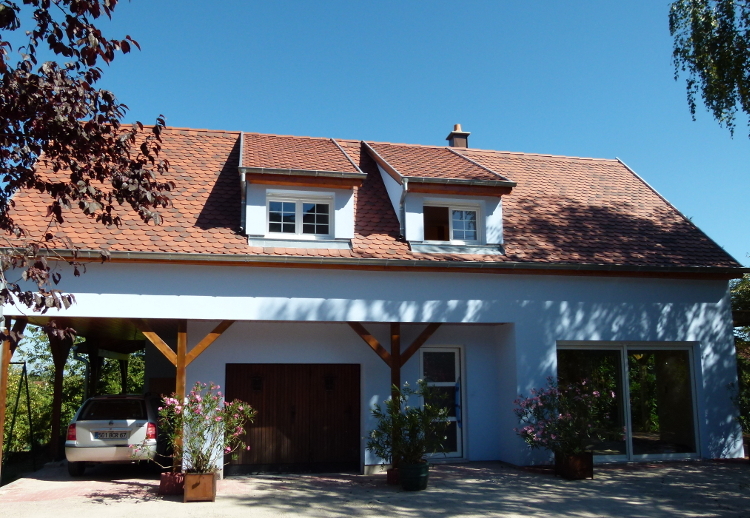 Luc and Doris are happy to welcome you to their cottage and Bed&Breakfast located in Châtenois, right in the middle of alsatian vineyard. Upstairs, you will enjoy our cottage "La Grange d'Alphonse" suited from 2 to 6 people. Downstairs, come and rest in our Bed&Breakfast "Le Jardin d'Alphonse", a perfectly-equipped studio you can also rent as a cottage on its own. From 6 to 8 people, it is possible to rent the whole house. Located in the back of the garden, this house is perfectly suited for young and older guests.